In describing what the Maithripala/Ranil (MR2) lot are doing in the matter of following in the footsteps of the Mahinda Rajapaksa (MR1) mob the title of this piece is in fact an understatement of the larger reality. It seeks to describe in a very abbreviated form the destruction of the Sri Lankan environment as we know it and those who depend on it for sustenance. And in this, I do not confine my reference to the abomination that the land reclamation/port project in Colombo constitutes. 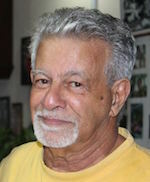 Knowledgeable environmentalists such as Ranil Senanayake have spoken incessantly about the truly enormous negative implications of these schemes which do little but fatten the purses of those in the commission-collection queues. The Rajapaksa horde did very well on all of that and while there is no gainsaying that the MR2 bunch could not avoid inheriting that pile of corruption there is no excuse for the latter continuing that process without missing a beat, so to speak. The ignoramuses – and I am being kind in describing these mouthpieces for the Commission Kaakkas – who write reams to the media on the need for these huge schemes – are deliberately blind to the fact that such humungous projects have proven to be nothing but economic white elephants and/or contributed to problems such as Chronic Kidney Disease of Unknown Etiology as in the case of the accelerated Mahaweli Project. Read what Arundathi Roy had to say about the huge dam projects in India and how dead right she was proved to be. They simply created problems rather than provided solutions. “Small is beautiful” is not simply some romantic concept. It has proved to be the direction in which we should be going and, in some parts of the world which have learned the bitter lessons of “bigger is better” that is where governments are moving financially and philosophically, seeking reconstruction instead of glitz. Do we have, over and over again, to walk in the footsteps of the greedy “developers” of the often-derided “west” whose behaviour has benefited no one but themselves, becoming complicit in their corruption? All of that, while trumpeting the fact that we are the beneficiaries of 2500 years of civilization? A reading of Jane Jacobs might give some of our “planners” a few ideas on the direction in which we should be going. Admittedly, there is no glitter and glamour (and commissions) in that approach but it has certainly proved to be where salvation lies for urban dwellers. Jane moved from the US to Toronto where she, justifiably, proceeded to establish an iconic reputation in the matter of renewing the core of population centres. I once lived in a city which spawned the world’s biggest shopping mall. It not only gutted the core of a modest, friendly provincial capital that had earned the title of “city of festivals” by drawing all the retail businesses to the ‘burbs’ but became a by-word for a sub-culture that no one wanted to see replicated thereafter. While all these champagne projects are putting money in an assortment of projects (and private pockets), our rural brothers and sisters don’t even have the luxury of a pol-katta of kithul (Caryota urens) thelijja or toddy, leave alone some of the delectable treacle and jaggery that the sap of these trees produces. Why? Because the macaque monkeys get to the pots first. The fact that macaque monkeys are taking over the mid-country of this land to the detriment of those whose basic nutrition has, without song and dance, been significantly supplemented by the produce of the land around their homes appears to be of no concern to those making the decisions for them. Not glamorous enough and certainly, the control of the vermin population afflicting the inhabitants of rural Sri Lanka does not have the capacity to generate baksheesh of any kind. And if that kind of inducement does not exist, who gives a tinker’s dam in the matter of what millions of our less-fortunate brethren have to put up with? Monkeys love every part of the papaya plant! And in the matter of impact, the other reason that the plight of the rural folk of the mid-country has not been spotlighted has been that there is little glamour attached to exercises such as stopping the depredations of macaques, giant squirrels, wild pigs and porcupines on every type of food and fruit that one might want to grow in one’s home garden. There is, literally, nothing that escapes the unwanted attention of these vermin. 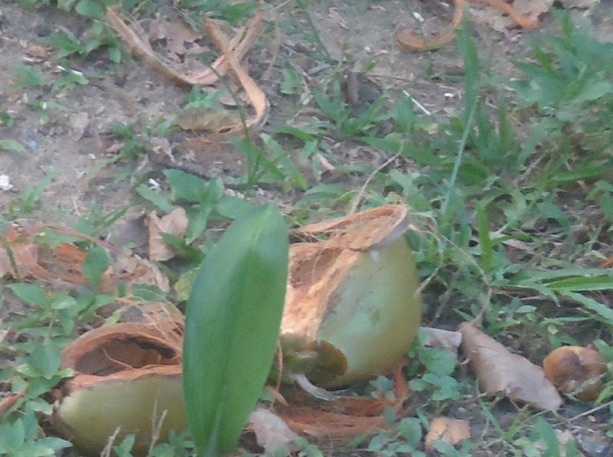 Villagers in our neighbourhoods NEVER had to buy jak fruit, at any stage of maturity, from some urban vegetable vendor. They went out and picked a jak, whether it was at the polos stage, had reached kos or was in its final dessert stage of waraka. Plantains of any description and at any stage of maturity? 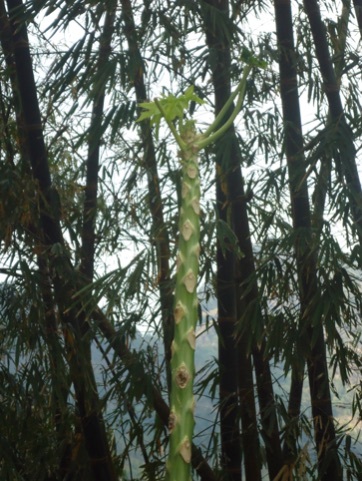 Forget any ambitions of harvesting them because you would be lucky to have a kehel muwa at the end of a stalk, leave alone fruit on it! When one is told that monkeys have devised a means of getting cassava yams out of the ground before they get too mature and are too deep-rooted, it is difficult not to be impressed by the agents of such ingenuity! However, such admiration does not, in any way, make acceptable the damage they do to the economic well-being of Sri Lanka’s poorest. The most recent claim I’ve heard from a neighbor is that some of his free-range chickens were being picked off by these simians. As difficult as this might be to believe, the man speaking to this turn of events had nothing to gain by telling tall tales! And his story was preceded by one from his neighbor of monkeys having stolen some chicken which he had left unprotected prior to its being cooked. Of course, if Manihot esculenta (cassava) is being targeted by the simians it is because the wild pigs have missed it or been too busy with some bathala (sweet potato) in the neighbourhood. In fact, if some parts of one’s land carries more grubs and roots than what might be the norm, it looks like a roto-tiller has been through it no sooner the first rains arrive. I would suggest that those concerned with the human-elephant conflict in the dry zone of this country – another problem aggravated if not created by an emphasis on “productivity” – could well do with some exposure to the practical implications of wild pigs getting into peasant paddy fields just prior to harvest. It might prove a bit of an eye-opener even if it isn’t as romantic as defending our pachyderms. Up to the time I left the shores of Sri Lanka at the age of thirty-five, I only recall having seen one (dead) flying squirrel. Now, they have become a pest, destroying whole trees full of their favourite fruit, arriving after the humans around those trees have retired for the night. Oh, and that is if the fruit-eating flying foxes haven’t beaten them to the punch! 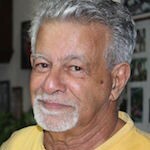 The extent of the damage being done to the very economic survival, leave alone well-being, of those living in the mid-country of Sri Lanka is extremely significant even if it is not dramatic because the victims appear to have resigned themselves to what years of battering has convinced them is their fate. Their disempowerment and resignation does not reduce the extent of their victimization. Sinhalese Army Harasses Tamil Students: Reconciliation Or Repression In Jaffna University?